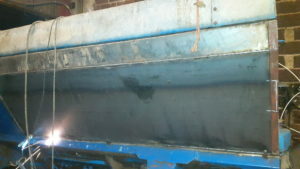 We provide a machinery repairs and modification service. 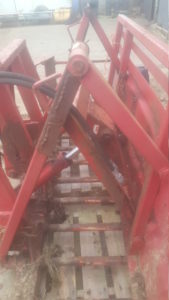 We can adapt or modify equipment to your own specification. Please contact us for more details. 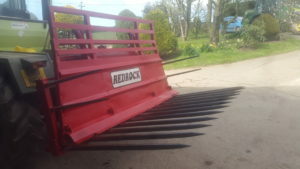 This buckrake was broken and in an unusable state. 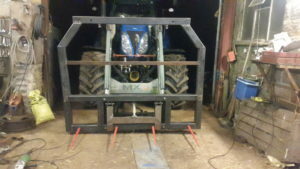 We repaired the push-off frame, re-pinned and bushed it, sandblasted and re-sprayed it. It is now in full working order. 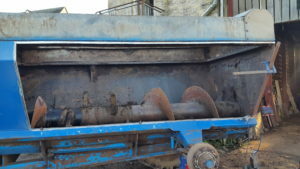 We removed the rusted out side of the dung spreader and replaced with new. This was a standard link box that has now been modified to the customer’s needs. It has been turned in to a waterproof storage box with opening lid and folding front. 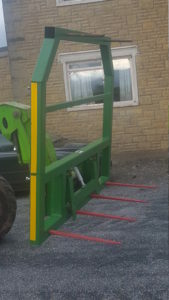 This bale spike was manufactured by Mid Devon Machinery. It was made to the customer’s specification. Bespoke spikes, etc. 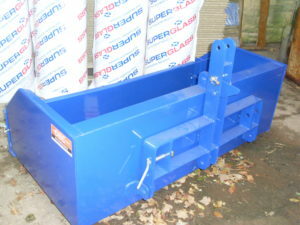 can be made on site.